The TC-Helicon VoiceLive Rack is the ultimate vocal processor for studio and stage. 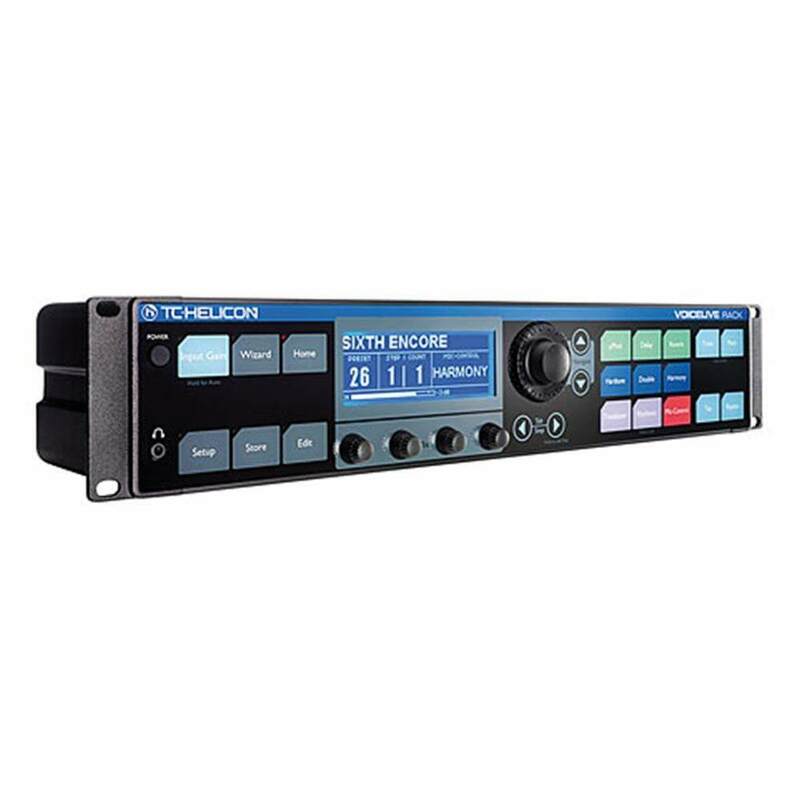 The TC-Helicon VoiceLive Rack is the ultimate vocal processor for studio and stage. The VL Rack combines a transparent mic preamp and adaptive pre-processing along with TC Helicon's mind-blowing vocal effects, providing you with a plethora of vocal sound possibilites. 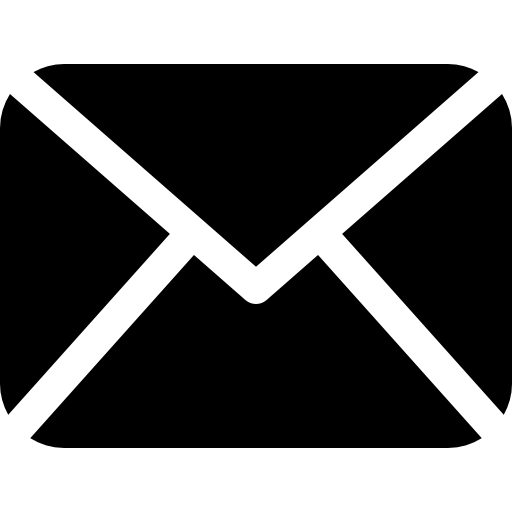 Like any good engineer the VoiceLive Rack listens to you and adjusts to make your voice smooth and produced. These adaptive pre-processors are always working with your voice to ensure an optimised vocal at all times. As with the VoiceLive 2 the VL Rack also features 'NaturalPlay' harmonies, allowing you to enhance your voice with more of you. 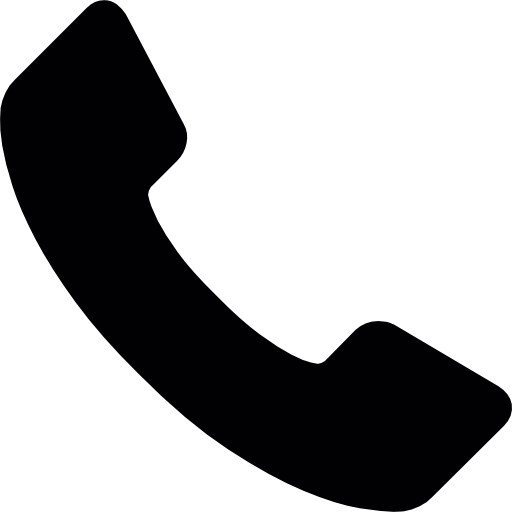 Either by using a guitar and MIDI in to do the work or simply let the VoiceLive do it for you. 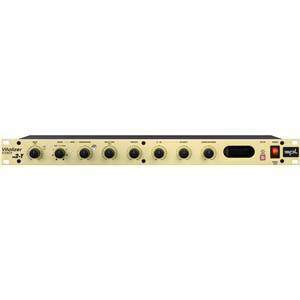 Use the included MP-75 microphone to the control the VoiceLive Rack so you are free to perform. You can also add the TC-Helicon Switch-3 pedal for even more real-time control. 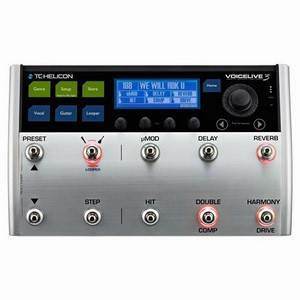 The VoiceLive Rack contains all the effects from the popular TC Helicon VoiceLive 2 allowing you to produce virtually any vocal sound you desire. Dream it. Build it. Sing it.